I love Belfast. I lived there during the 1970's and 1980's at the height of the 'troubles', and two of my sons were born there. It is by far the most wonderful place that I've lived in, and its development since the beginning of the peace process has been exciting to see. However, it can also be the most frustrating of places to those people who care about it. Political and religious views are still very much polarised, and when the two are brought together, and immersed into each other, the results are the continuation of a 400 year old struggle. Take two examples that are very much linked. 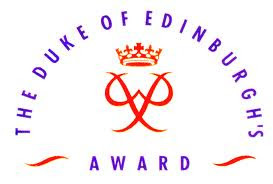 On the 28th November 2011, there was a ceremony at City Hall where the Lord Mayor of Belfast was handing out certificates to successful young people on their completion of the Duke of Edinburgh's Award Scheme. Part way through the ceremony, the Lord Mayor left the room as he refused to give an award to a 15 year old who happened to be an Army cadet. He let his political views interfere with his job. It's perhaps helpful to put him in some sort of context. Niall O Donnghaile, who is a Sinn Fein member, at aged 25 is the youngest ever Belfast Lord Mayor, and it was only three weeks before his appointment that he was elected as a Belfast City Councillor. His rise to the top has indeed been meteoric, but he unfortunately forgot what he said when he was elected Lord Mayor last May. "I do want to be a mayor for all ... not just unionists, loyalists, but republicans and nationalists, and many different people who make up our city". Refusing to give an award to a young Army cadet does not fit in with this statement. Martin McGuinness, Sinn Fein Deputy First Minister at the Northern Ireland Assembly has said that this was a mistake. Niall O Donnghaile has since apologised. His apology has been accepted by the young person; by the young person's family, and by Belfast City Council. But still the opposition want to make political capital out of the incident. In today's Belfast Telegraph, there is a report saying that community groups in the city are "boycotting the Lord Mayor" by withdrawing invitations to him attend their functions. City Hall today confirm that two groups have cancelled or postponed their invitations. As this often happens anyway, it's hard to make out a case that the Lord mayor is being boycotted. The Democratic Unionist party (DUP) have called on the Lord Mayor to resign because he is not 'inclusive'. In response, a Sinn Fein spokesman said, "We won't be taking any lectures on inclusion from the DUP. These are the people who, for 100 years, would not have a Catholic Lord Mayor, never mind a Sinn Fein Lord Mayor". So, are they any better? The second example concerns the Deputy Lord Mayor, Ruth Patterson who is a member of the Democratic Unionist Party (DUP). When she and the Lord Mayor were elected last May, she refused to accept his congratulations or to acknowledge his presence. You can read the BBC Northern Ireland account of this here. Allegedly, seven months later, she will still have nothing to do with him. The same Sinn Fein spokesman said, "Today, the DUP Deputy Lord Mayor will not talk to the Sinn Fein Lord Mayor, never mind shake his hand. So whatever lessons we need to learn about outreach, and we all need to stretch ourselves in these matters, we won't be taking any lectures from the DUP". This is why I said earlier that Belfast can be so frustrating. This is such a shame, because at Northern Ireland Assembly level, the DUP First Minister, and Sinn Fein Deputy First Minister, despite holding strongly divergent political views, do seem to attempt to work together for the good of Northern Ireland. When you are elected to positions such as Lord Mayor and Deputy Lord Mayor of a great city, you are elected to serve all of the people, not just those who agree with your political views. Similarly, you are not elected to solely promote your own views, to the detriment of the city as a whole. At least Niall O Donnghaile apologised, though I haven't read that he promises not to do it again. There is no apology from the Deputy Lord Mayor, in fact, her stance has been supported by her own political party. Thank god that there are thousands of Belfast and Northern Ireland people who are more enlightened than many of their politicians, and want to see the city move forward in terms of inclusivity. If you can't serve all the people, then don't put yourself up for election. Of course, politics is about fighting for what you believe in; always has been, and always will be, and I'd hate to see the day when that stopped. However, in a democratic society, it's more than that. It's accepting "the will of the people" who have voted in their representatives, and there should be no disrespect shown to those representatives, or displaying hissy fits when things don't go our way. If you can't serve all the people, then don't put yourself up for election. Respect and good manners should not be seen as old fashioned. The following video may seem a bit strange, but in my world, it helps to cement the message above.